As the CEOs of the nation’s leading renewable energy trade associations, we respectfully urge House and Senate leaders to remain in Washington until there is a successful resolution of the current impasse between the House and Senate on tax extenders legislation. Since the fate of any new House or Senate-passed extender bill is unclear at best, a hasty departure will put the future of renewable energy in America at risk. Over the past year, renewable energy has been a major source of economic growth in a troubled economy. Now, as our industries face major challenges related to the financial crisis, prompt Congressional action to extend renewable energy tax credits is more important than ever. With hundreds of thousands of American jobs and billions of dollars in clean energy investment at risk, we urge Congressional Leaders not to leave for the election recess until a House-Senate agreement is reached on the pending tax extender package. AWEA, formed in 1974, is the national trade association of the U.S. wind energy industry. The association's membership includes turbine manufacturers, wind project developers, utilities, academicians, and interested individuals. More information on wind energy is available at the AWEA web site: www.awea.org. POINT ROBERTS, Wash., Delta B.C., September 24, 2008 - www.InvestorIdeas.com, one of the first online investor resources providing in-depth information on renewable energy, greentech and water, provides interested investors a recent audio interview with Venture capital expert, John Cavalier of Hudson Clean Energy Partners. John Cavalier founded the renewable energy practice at Credit Suisse, and he's been a banker in the energy sector for more than 25 years. Now he's with Hudson Clean Energy Partners, a venture capital fund that invests in late stage renewable energy companies. In this interview, he offers his take on some key trends in the sector. What it means is – that those management teams that were not planning and did not access their resources early on are going to be at a very severe cost disadvantage going forward. The growth rates in these companies are difficult to manage to. So the quality of the management is extremely important. Hudson Clean Energy Partners is a private equity firm investing in renewable power, alternative fuels, energy efficiency and storage. The Hudson investment team has more than 50 years of combined industry experience, led by Neil Auerbach, Managing Partner. Neil is a former Goldman Sachs partner who cofounded the US renewable energy investment effort at Goldman and led many of their most successful clean energy transactions. The Global Green Marketplace at Investorideas.com – a meeting place for investors and business in cleantech: http://www.investorideas.com/marketplace/. Companies and accredited investors are invited to register. Solar Energy Industries Association president Rhone Resch released the following statement after the Senate voted on bipartisan legislation to extend federal solar tax credits by 8 years. The amendment to H.R. 6049, the Energy Improvement and Extension Act of 2008, to extend renewable energy tax credits passed by a vote of 93 to 2. SEIA expects the Senate will complete votes on other amendments and pass H.R. 6049 later today. "The Senate took an important step today to put America back to work with clean, reliable and job-creating solar power. With major instability in our financial markets, solar energy is a guaranteed way to provide the stability we need in our economy right now. "I applaud the Senate for reaching a bipartisan consensus to extend the solar tax credits, which are critical to the growth of the solar market in the U.S. I especially want to thank Majority Leader Reid and Minority Leader McConnell, Senate Finance Chairman Baucus and ranking member Grassley, and Senators Cantwell and Ensign for their leadership in brokering this agreement. "Extension of the solar investment tax credit has been more than two years in the making and is a major victory for the solar industry and for consumers facing higher energy prices in the U.S. Under the Senate bill, the solar tax credits will be extended for 8 years, for both commercial and residential consumers. The bill also makes several major improvements that puts solar energy within reach for all Americans. This includes a complete elimination of the $2,000 cap for residential systems and an allowance for utilities to make use of the commercial credit. Also, the bill allows those taxpayers that trigger AMT (alternative minimum tax) to take the solar tax credit. "With a long term ITC in place, the solar industry will grow exponentially in the coming years. A study released by Navigant Consulting, Inc. just this week showed that more than 1.2 million employment opportunties, including 440,000 permanent jobs, and $232 billion in investment would be supported by 2016 with an 8-year extension of the ITC. And perhaps most important, the solar industry will create jobs in all 50 states. Today, the Senate brought these promising projections closer to reality. "All eyes are now on the House that is in a position to swiftly pass the Senate legislation before members leave next week and get the bill to the President’s desk." Solar Energy Industries Association is the national trade association of 700 solar energy manufacturers, project developers, distributors, contractors, installers, architects, consultants and financiers. Established in 1974, SEIA works to expand the use of solar technologies in the global marketplace, strengthen research and development, remove market barriers, and improve education and outreach for solar. Learn more at www.seia.org. Today’s Senate bill extends the 30 percent solar investment tax credit for 8 years for both commercial and residential installations. The bill also makes several substantive changes to the credits, including complete elimination of the $2,000 cap for residential systems and allowing utilities to make use of the commercial tax credit. Also, the bill allows those taxpayers that trigger AMT (alternative minimum tax) to take the solar tax credit. The 30 percent solar investment tax credits first became effective in January, 2006, a result of the 2005 Energy Bill. POINT ROBERTS, Wash., Delta B.C., September 19, 2008 - www.InvestorIdeas.com, one of the first online investor resources providing in-depth information on renewable energy, greentech and water, provides interested investors a recent audio interview with Ira Ehrenpreis of Technology Partners (http://www.technologypartners.com). 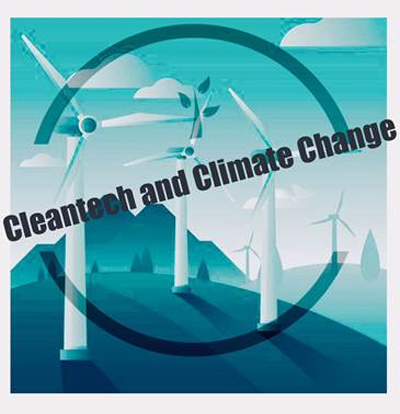 Well-known financial columnist Michael Brush continues his renewable energy audio series for Renewableenergystocks.com with a recent interview with Ira Ehrenpreis of Technology Partners http://www.technologypartners.com/. Ira has been with Technology Partners since 1996. Ira leads the firm's Cleantech investment practice, investing in Energy Technology, Water Technology, and Materials Science opportunities. If you think you missed out on the hot green energy stocks, relax. We’re still just in the early innings for green tech investing, says venture capital fund manager Ira Ehrenpreis of Technology Partners. He offers some perspective on key trends you won’t want to miss. While the whole market seemed to be slipping downhill on September 15th, there was one bold company that actually listed publicly that day and seemed to roar straight out of the gates. That company was Premier Power Renewable Energy Inc (OTCBB: PPRW) which launched on the Over the Counter (OTC) bulletin board via a reverse merger rather than a standard IPO. Premier Power (www.premierpower.com) is one of several solar integration companies who make it their business to design and build solar power installations on a medium to large scale. They install systems for commercial, municipal and agricultural as well as residential customers. One of their core markets is wineries and vineyards. Premier operates in Spain, California, Nevada, New York and New Jersey. Plus they are now said to be looking for business in France and Italy. According to the company’s press release it closed a $7 million private placement of 3.5 million shares at $2 each. Their market capitalization comes in at $151.8 million. They claim customers such as KB Home, Pacific Gas and Electric (PG&E), Princeton University, Shafer Vineyards, Silverado Wineries, ATT, and Jay Leno among others. Premier Power says they posted sales of $16.7 million in 2007 with a net income of $843,865 for the year. They also report that they have contracted $48 million in sales for 2008. At face value, that’s almost 300% growth. However they’ve posted slightly under $18 million on their income statement for the first six months of 2008. These are some very good and encouraging numbers for Premier. However, I’m cautious about new listings and it will take time to learn about this company. On a macro, level their business may be growing rapidly but for the time being supplies of solar panels could hold them back. Solar panel supplies have been tight for the past three years because silicon supply has been limited. Two of the biggest manufacturers BP Solar and Kyocera say they’re sold out for this year and so do many others. On the other hand, solar manufacturing capacity is ramping up quickly, so next year and beyond could be different. Premier’s rapid growth in 2008 sales is impressive, but it could be partly due to clients rushing to get systems installed ahead of the expiration of the Federal tax credits at the end of this year. Several other solar installers and integrators have reported this happening among their clients too. Though the existing scheme of tax credits is widely expected to be extended or even made slightly better. And while the business is obviously growing, solar power is not really economically viable yet at the true cost of solar photovoltaic panels. The entire solar industry is underpinned by government subsidy and incentives at the moment. That’s a place where nothing is really for certain, and seems slightly uncomfortable to me. It’s fairly clear that if Senator Obama wins the presidential election he’ll be pushing for more solar incentives which will help companies like Premier. But Senator McCain’s position is somewhat less clear. Longer term, there are positive factors for solar integrators and installers. Firstly, silicon prices are falling. Then there are alternative solar technologies emerging like thin film which hold out the promise of much lower cost. Companies like XsunX (OTCBB:XSNX) are working to complete the assembly of their multi-megawatt thin film manufacturing operations and begin delivering thin film solar modules to a growing market that is clamouring for more supplies and lower prices solutions. In addition to thin film technologies offering lower costs today experts expect that costs may continue to go lower still making thin film solutions such as those offered by XsunX highly attractive. Thin film is generally seen as a utility scale solution because of its lower efficiency and therefore greater area needed to generate the same power. But as its cost drops and efficiency increases it will make increasing sense for small commercial and residential applications. That could easily spark new demand and at the same time improve margins for the installers and integration companies. Premier is by no means the only big solar installer/integrator play out there. Another to consider is Akeena Solar (AKNS) which with a market cap of $108 million, is a similar company to PPRW in size and in their operating regions. Akeena Solar (www.akeena.net) focuses on markets in California, New York, New Jersey, Pennsylvania, and Connecticut. But Akeena is also more focused on residential and small commercial market which according to SolarBuzz, a research and consulting firm, represent approximately 65 percent of the U.S. market, and will continue to do so through 2010. One of the things that sets Akeena apart is their patented installation methods and products. They have identified that mounting arrays on rooftops is a time consuming and hazardous undertaking. So they came up with a way to cut some of the steps out of the process. Ordinarily installers put brackets on the roof, then the racking system, then mount and wire the panels. Akeena’s new Andalay technology cuts out 50% of the rooftop labor and uses 70% fewer parts. They build the racks directly onto the panels and pre-wire the array so that the individual panels snap together easily on the roof. The result is also sleeker looking with the individual panels closer together and the whole array lying lower to the roof so less obtrusive. Akeena is not yet profitable, but say they expect to be by 2010. For 2007 they reported losses of $11 million against sales of $32 million. Their stated goal for 2008 is to double revenues from 2007. They are clearly positioning themselves for the residential and small commercial market which they believe will be significantly more lucrative next year if the current cap of $2000 on the 35% Federal tax credit is increased or removed. Apart from these two there are hundreds of smaller private companies in the integration and installation space operating more locally. They’ll offer competition and some may emerge in time as public companies too. And there are companies like BP who design and install systems as well as manufacturing panels. But being an integrated energy company, they are more levered to oil and can not be regarded as an investment play on solar. While wind has grown more quickly in the past few years with massive installations going up, solar is now gaining fast. A huge number of rooftops that could be collecting power across the country so the potential is truly enormous. And if the tax incentives are improved with higher or no caps then the growth in the residential market could be explosive. Disclosure: Paulo Nery does not currently own shares of any of the companies named above. Disclaimer: Nothing in the above article in no way constitutes a recommendation to buy or invest in these or any other stocks. You should always seek professional financial advice when planning your investments or trading in the stock markets. Based in Aliso Viejo, Calif., XsunX is developing amorphous silicon thin film photovoltaic (TFPV) solar cell manufacturing processes to produce TFPV solar modules. To deliver its products the Company has begun to build a multi- megawatt TFPV solar module production facility in the United States to meet the growing demand for solar cell products used in large scale commercial projects, utility power fields, and other on-grid applications. Employing a phased roll out of production capacity, it plans to grow manufacturing capacities to over 100 megawatts by 2010. More info on XsunX, Inc. can be found on our media profile at: http://www.investorideas.com/co/xsnx/default.asp or http://www.xsunx.com/ . The Marketplace is a meeting place created for connecting global companies in leading sectors, seeking strategic partnerships, funding, mergers and acquisitions, licensing or branding. Investorideas.com is building a growing a global network of green and renewable energy companies both seeking funding, partners or management as well as funds, small public companies and Fortune 500 companies seeking investment opportunities. We currently have green companies for review to accredited investors: small wind turbine, carbon capture, PV installer service company, green building and housing , agri-waste to marketable bi-product, waste to energy, China Fiber fuel- Jatropha, green automotive engine, environmental technology safely removes mercury from light bulbs and other green companies added regularly. Investorideas.com was one of the first online investor resources providing in-depth information on renewable energy and water – with its Renewableenergystocks.com portal and Water-stocks.com portal. Green and Renewable Companies can gain exposure in the sector by becoming a featured green showcase company or submitting news to the Investorideas.com hub. POINT ROBERTS, Wash., Delta B.C., September 11, 2008 - www.InvestorIdeas.com, one of the first online investor resources providing in-depth information on renewable energy, greentech and water, provides interested investors a recent audio interview/Podcast with C. Baird Brown of the law firm Ballard Spahr Andrews & Ingersoll. Well-known financial columnist Michael Brush continues his renewable energy audio series for Renewableenergystocks.com with C. Baird Brown of the law firm Ballard Spahr Andrews & Ingersoll. Watch out if you own the stocks of companies that produce a lot of carbon. “When the carbon cap and trade system comes to the U.S., there could be problems”, says C. Baird Brown of the law firm Ballard Spahr Andrews & Ingersoll. POINT ROBERTS, Wash., Delta B.C., September 9, 2008 - www.InvestorIdeas.com, a leading online global investor resource, updates the Investor Ideas Global Green Marketplace connecting business and investors. The marketplace fastest growing segments include cleantech, renewable and organics sector. a leading investor news and research portal for the renewable energy sector within Investorideas.com, reports on the controversy and benefits of importing of Brazilian Sugarcane based ethanol. industry participants Cosan, SA (CSAN3.SA) (CZZ), Industrial Biotechnology Corporation (OTCPK: IBOT), the EPA, Tom McCain and The Brazilian Sugarcane Industry Association comment on the benefits of sugarcane ethanol. Brazil is expanding its production and will harvest 12% more cane than last year, with plans to increase ethanol exports 25%. Brazil is currently the second largest producer of ethanol in the world, after the US. According to the Brazilian Sugarcane Industry Association, in 2007 Brazil produced an estimated 487 million metric tons of sugarcane, which yielded 30.6 million tons of sugar and 22 billion liters of ethanol. Louis Dreyfus Commodities, one of the top three sugar merchandisers and traders in the world, managing more than 2.5 million tons of sugar annually recently announced it $433 million investment to open a new mill in Brazil's Mato Grosso do Sul state. Industrial Biotechnology Corporation currently has a joint ventures project and ethanol supply agreement and relationship in place with Cosan, SA. He notes Sugarcane ethanol provides several advantages over other feedstocks. He also goes on to say, “The challenge for the Brazilian ethanol industry is to boost ethanol demand abroad, which can be achieved by clarifying the benefits related to sugarcane ethanol adoption and developing alternative suppliers. EPA Administrator Stephen L. Johnson recently announced the decision to deny a request submitted by the State of Texas to reduce the nationwide Renewable Fuels Standard (RFS). As a result, the required total volume of renewable fuels, such as ethanol and biodiesel, mandated by law to be blended into the fuel supply will remain at 9 billion gallons in 2008 and 11.1 billion gallons in 2009. About Industrial Biotechnology Corporation (OTCPK: IBOT): Industrial Biotechnology Corporation provides products, services and technologies using renewable resources as an alternative to petroleum. IBC utilizes sugarcane based ethanol which is considered the leading cost efficient, energy balanced and environmentally sustainable feedstock source, when compared to petroleum and other alternative fuels. IBC will provide these cost competitive, environmentally responsible solutions via its operating subsidiaries Renewable Chemicals Corporation (RCC) and Renewable Fuels of America Corporation (RFAC). Disclaimer: Our sites do not make recommendations, but offer information portals to research news, articles, stock lists and recent research. Nothing on our sites should be construed as an offer or solicitation to buy or sell products or securities. This site is currently compensated by featured companies, news submissions and online advertising. Disclosure: Industrial Biotechnology Corporation: $5000 per month for green investor showcase program #1. Additional compensation - 150,000 144 shares over 12 month period issued quarterly. POINT ROBERTS, Wash., Delta B.C., September 5, 2008 - www.InvestorIdeas.com, one of the first online investor resources providing in-depth information on renewable energy, greentech and water, provides interested investors a recent audio interview with Nancy Floyd, Founder and Managing Director of Nth Power, a venture capital firm based in San Francisco. Nth Power was one of the first venture firms specializing in the cleantech sector. Well-known financial columnist Michael Brush continues his renewable energy audio series for Renewableenergystocks.com with a recent interview with Nancy Floyd, Founder and Managing Director of Nth Power. Ms. Floyd has led Nth Power’s investments in Silicon Energy (NASDAQ: ITRI), Northern Power (NASDAQ: DESC), Smartsynch, Serveron, SpectraSensors and Propel Biofuels. Nth Power is a venture capital firm based in San Francisco and is the first and most experienced venture capital firm funding promising startup companies in the growing sector of energy technology, materials and other related businesses. With $420 million under management in four funds and an investment record that begins in 1997, Nth Power is widely known and well regarded as the driving force behind many of the most successful energy technology companies. Batteries are becoming increasingly important to our lives. Not only to sustain our rapidly expanding wireless technology requirements, but also to support our need to travel about. With hybrids, plug in hybrids and fully electric vehicles beginning to provide us with more cost effective transport, we’re bound to depend more and more on batteries. And at a larger scale, as we integrate more renewable sources of energy into our electricity grid, we’ll need to manage supplies with more uncertainty. So, there is likely to be an increased need for energy storage solutions to help temper the ups and downs of power supply irregularity. Lithium Ion batteries seem to get a lot press for their higher storage capacity per pound, but the more traditional lead-acid batteries are likely to be with us for a long time to come, particularly in the many industrial applications the use them. The biggest maker of industrial lead acid batteries is Enersys (ENS). They make batteries for forklifts and for back up power systems, over 60% of which is overseas. They’re selling into markets like global logistics, telecoms companies and the military. Enersys has a proprietary technology that means their batteries last longer and are smaller than the average lead-acid battery. They call it "thin pure plate lead" or TPPL. According to their last conference call, demand for these batteries is more than they can keep up with. So they’re expanding the plant that makes them. Another large maker of lead acid batteries is Exide (XIDE) who make batteries for cars, bikes, boats, agricultural equipment, construction vehicles etc. They also sell specialized batteries for forklifts and other industrial equipment including the military. Like EDS, over half of their sales come from overseas. Only yesterday I had to put a new battery in my wife’s car. And where do you think the old one went? Yep, Exide, who happen to be the largest recycler of lead batteries in the U.S. That means they’re getting better value than buying lead on the open market, and saving a bundle in the process of being green. Axion Power International (AXPW) is developing a proprietary technology they call PbC – perhaps because it’s a hybrid of lead-acid and carbon. See their website for more details on how it’s made (www.axionpower.com). Axion aims to sell the batteries made with PbC as an upgrade to conventional lead-acid batteries in industrial applications. This is an enormous broad-based potential market that will likely respond to more efficient batteries. They’ve been focused for over two years on refining their manufacturing methods as well as continuing with performance testing on the pre-production prototypes. These tests have shown that their PbC batteries have considerably longer cycle-lives, faster recharge rates and more power than conventional lead acid batteries. But then, a lot can change between pre-production and real world production. If you’re in the mood for more speculative plays, Ener1 (HEV) is a good start. They don’t have significant sales yet, but are developing Lithium-Ion batteries that have been delivered as prototypes and successfully tested in a Th!nk EV (electric vehicle). They’ve already built a manufacturing and testing facility and expect to begin manufacturing by the end of this year. So they might actually be the first to offer a production Litium-Ion battery to the auto industry. For the long term, Ener1 is developing nano-materials for better battery storage. That’s very intriguing with oil prices high, but not something to hold your breath for. While the Lithium-Ion batteries seem to get most of the star attention, the advantages, mainly smaller size, relative to the cost only pay off for mobile devices right now. So the old-fashioned lead-acid battery is likely to continue to hold on to a big piece of the market for a long time yet. But the lead-carbon hybrid concept offers bankable advantages like faster charge, longer life and higher power. So it may find a significant market once production begins in earnest. Disclaimer: Nothing in the above article in no way constitutes a recommendation to buy or invest in these or any other stocks. You should always seek professional financial advice when planning your investments or trading in the stock markets. Paulo Nery is an independent columnist for Green Investor at Investorideas.com Paulo J. Nery writes about green business, green investing and green lifestyle. www.InvestorIdeas.com/About/Disclaimer.asp. InvestorIdeas is not affiliated or compensated by the companies mentioned in this article.